Remote working is changing the face of businesses everywhere and regardless of what your business is, you should consider it. So many businesses are moving towards remote work for a lot of different reasons. First off, it’s great for slashing your overheads because you can massively reduce the amount of office space that you need. If you’re just starting out, expensive office costs can cripple you so remote working could really benefit you. 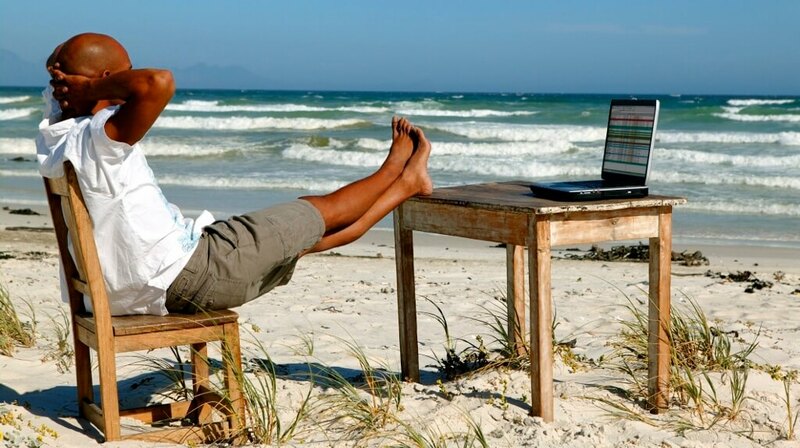 But it’s not just about reducing the size of your office, remote working is also more productive for a lot of people. Everybody works in their own way and a lot of employees are far more effective if they can set their own schedules and work in a space that suits them. Remote workers can also offer a better level of service to your customers because they’re always contactable and can action things from home, rather than making people wait until they’re back in the office again. However, it’s not all good news when it comes to remote workers and they’re only effective if you manage them properly and give them all of the resources that they need. If you’re not motivating them properly, it’s a lot easier for people to become unproductive when they’re not in the office environment. It’s also essential that they have access to all of the resources that they need in order to do their job just as effectively as they would if they were in the office all day. The key to solving these problems is often technology. There are a lot of different pieces of business tech that you can implement to make life easier for your remote workers and ensure that they’re as productive as possible. If you’re moving towards remote work, these are the pieces of technology that you need to invest in. A VPN is essential for security when you’re relying on remote workers. If you’ve got employees collaborating on work and they need to send documents back and forth, you don’t want to be doing that over public wifi networks. Every time you send that document, it’s at risk of being intercepted and stolen. Data loss is one of the biggest challenges that businesses face right now and the effects can be devastating if you’re not careful. A VPN (virtual private network) allows you to share documents over the internet without opening yourself up to attack. It’s important that you make sure that every employee is always using a VPN when they’re doing anything to do with work. A VPN will protect you, but you should give yourself as many layers of protection as possible to be safe. Businesses send and receive thousands of emails a day and a lot of the time, you don’t really think about how safe they are. The truth is, email is actually quite vulnerable to cyber-attack and it’s not too difficult for people to intercept emails that you and your employees are sending back and forth. If those emails contain sensitive information about your company or your customers, you’re going to find yourself in a bad situation. But if you use email encryption, people won’t be able to access any of the information on the email, even if they do manage to intercept it. Make sure that you’re changing the passwords regularly as well, so people can’t crack them easily. Speaking of passwords, it’s important that you’re using strong ones and you’re changing them regularly. However, it’s difficult to remember a long string of random letters and numbers, especially if the passwords are changing all of the time. That’s why people often use weak passwords that are easy to remember, but also very easy to crack. You can get around this problem by using a password manager. They will create unique passwords for each different application but you will be able to use one password to get into the password manager. That way, you can have secure passwords for everything but you don’t need to deal with the hassle of remembering difficult passwords. Giving your employees easy access to all of the documents and information that they need is absolutely key. If they have to email somebody in the office and wait for things to get sent over every time they need to access them, they’re not going to be very productive at all. That’s why cloud services are one of the most important things that you need if your remote workers are going to be effective. By implementing a financial services cloud, you can give your employees access to all of the different documents they need, as well as your sales and marketing systems, when they’re outside of the office. It makes it so simple for people to share information and collaborate on projects seamlessly. Cloud computing systems can be quite complicated and if they’re not set up and maintained properly, you won’t see all of the benefits. Technology is great for productivity when it’s working properly but if it isn’t, it has the opposite effect. That’s why you should always call in a company that specializes in cloud services and have them set it all up for you. Good communication is so important when you’re using remote workers because you need to make sure that everybody is up to date with what’s happening in the business and everybody is on the same page when it comes to collaborative projects. You also need to keep tabs on your employees to make sure that they’re staying motivated and they’re working at a good rate. It’s a lot easier to do that when you have everybody in one building but when people are working remotely, it’s easy for communication to break down. A VoIP (voice over internet protocol) can really help to improve communication. You can use it to make phone calls using your internet connection which is a simple way of cutting costs. It also gives you an easy way to make video calls and have video conferences. This is important because regular meetings are a good way to keep everybody up to date but they’re not always possible when people are working remotely. VoIP is a good way to improve communication but you don’t always need to have a video conference about every little issue. When employees have a quick question about something, they’ll usually just put it into an email. The only problem with this is that it leads to email overload. People end up getting a ridiculous number of emails and they have to filter through all of the junk before they can deal with the more important emails that require immediate action. This means that productivity is going to suffer so you need a way of separating those simple queries from the more important email communications. Live chat is one of the best ways to do that. You can set up a simple live chat service that people can use for any simple questions so their inboxes aren’t getting clogged up with thousands of emails every week. Remote working can improve your business in so many different ways but often, it doesn’t work out because you don’t have all of the right systems in place before you get started. If your remote workers are going to be effective, you need to implement these pieces of technology.